The Lovely Bones is a 2009 supernatural drama film directed by Peter Jackson and starring Mark Wahlberg, Rachel Weisz, Susan Sarandon, Stanley Tucci, Michael Imperioli, and Saoirse Ronan. It was released to mainly mixed reviews from critics; the story and its message were generally criticized, with praise mainly aimed at the visual effects, Peter Jackson's direction, and the performances of Ronan and Tucci. The film also received numerous accolades, including Golden Globe, Screen Actors Guild, BAFTA and Academy Award nominations. If you liked The Lovely Bones, then you may like these titles and authors. On Sunday, August 6, 2000, fifteen-year-old Nick Markowitz was grabbed off the street on the orders of a local drug dealer named Jesse James Hollywood. Nick was taken as collateral because his brother Ben owed Jesse money. He was an innocent victim who became a pawn in an increasingly high-stakes feud between the two that ended with Nick's brutal murder. After she is raped and murdered, fifteen-year-old Ellie Frias, who felt invisible in life, finds herself caught in Hollow Oaks, New York, observing other brutal attacks, the police investigation, and more. Miranda Allerdon is a dreamer, floating her way through life. Her sister Lander is older, focused, and determined to succeed. As the girls and their parents begin another summer at their cottage on the Connecticut River, Lander plans to start medical school in the fall, and Miranda feels cast in her shadow. When the Allerdons become entangled in an unimaginable tragedy, the playing field is suddenly leveled. As facts are revealed, the significance of what has happened weighs heavily on all. How can the family prepare for what the future may hold? Haunted by memories of the fire that killed her boyfriend, seventeen-year-old Alice Monroe is in a mental ward when, with support from fellow patient Chase, she begins to confront hidden truths in a journal, including that the only person she trusts may be telling her only half of the story. 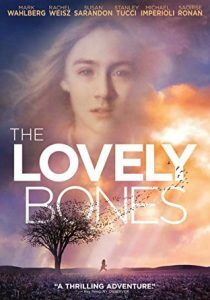 View more suggestions for The Lovely Bones.